Mineola, NY - June 15, 2015 - Acting Nassau County District Attorney Madeline Singas announced the sentencing today of a Suffolk man for striking and killing John Elder and Edward Ross, who were standing with a disabled car on the shoulder of the Meadowbrook Parkway, in March 2013. Robert Beodeker, 52, of Aquebogue, was sentenced today to four to 12 years in prison by Acting Nassau Supreme Court Justice Christopher Quinn. Beodeker pleaded guilty in April to Aggravated Vehicular Homicide (a B felony) and Driving While Ability Impaired by Drugs (an unclassified misdemeanor). 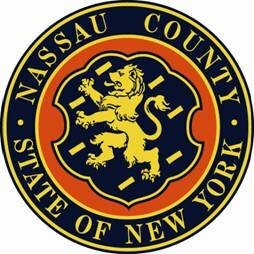 Acting DA Singas said that on March 4, 2013 at 12:30 p.m., Beodeker was driving a GMC pickup truck when he drifted into a safety zone on the southbound shoulder of the Meadowbrook Parkway in Roosevelt, striking and killing two men who were standing with a disabled car. Elder, 76, of Freeport, and Ross, 65, of North Bellmore, died at the scene. Beodeker was found to have methamphetamine and amphetamine in his blood. Members of the New York State Police Department made the arrest. At the time of the crash, Beodeker was on his way to work at Suffolk County Community College, where he worked as an associate dean of students. Assistant District Attorneys Katie Zizza and Gene Kang of Acting DA Singas’ Vehicular Crimes Bureau are prosecuting the case. Beodeker is represented by Dana Glossbatt, Esq. Subject: LongIsland.com - Your Name sent you Article details of "Suffolk Driver Sentenced for Striking and Killing Two Standing with Disabled Vehicle on Side of Road"